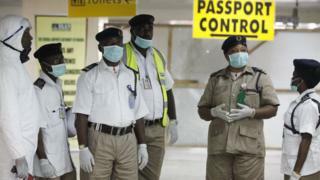 A man who died in southern Nigeria in a suspected case of Ebola did not have the deadly virus, the World Health Organization (WHO) has said. The country was declared free of the virus a year ago. Ten people were quarantined after coming into contact with the man, who was said to have shown Ebola-like symptoms. A WHO spokesman later confirmed the man had tested negative for Ebola and Lassa fever. He died shortly after being admitted to hospital in Calabar, officials said. Those quarantined included nurses who had attended to the patient, said Queeneth Kalu, the hospital's chief medical director.